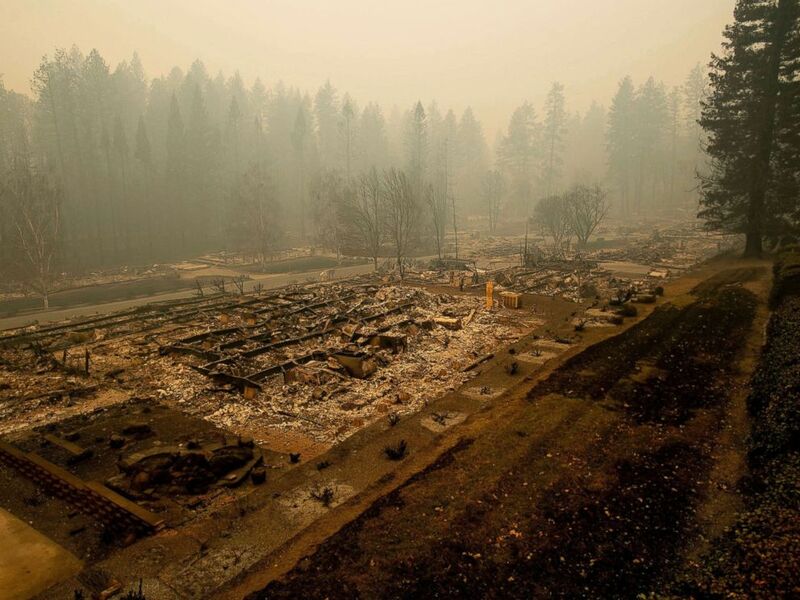 Over 13,000 families are without homes this Thanksgiving in the wake of the deadly and devastating Camp Fire that ripped through Butte County in Northern California. 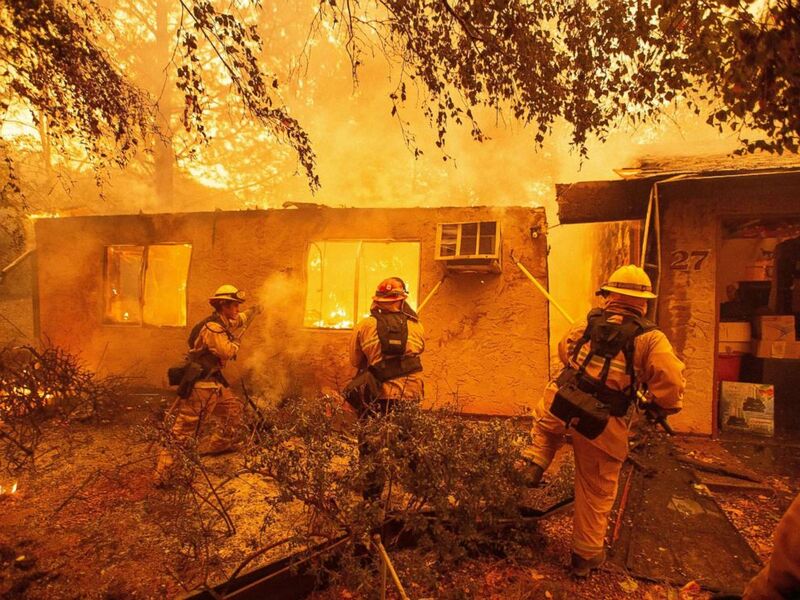 The death toll has climbed to 83 in the Camp Fire, now the the deadliest on record in the state. 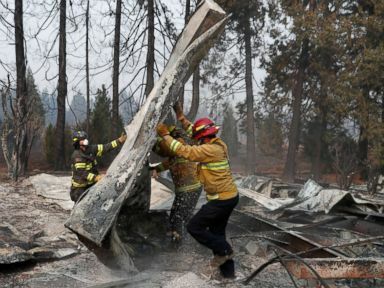 The same day the Camp Fire ignited, another unprecedented and deadly blaze hit the southern part of the state. Leveled residences line a mobile home park on Edgewood Lane after the Camp Fire burned through Paradise, Calif., on Nov. 10, 2018. 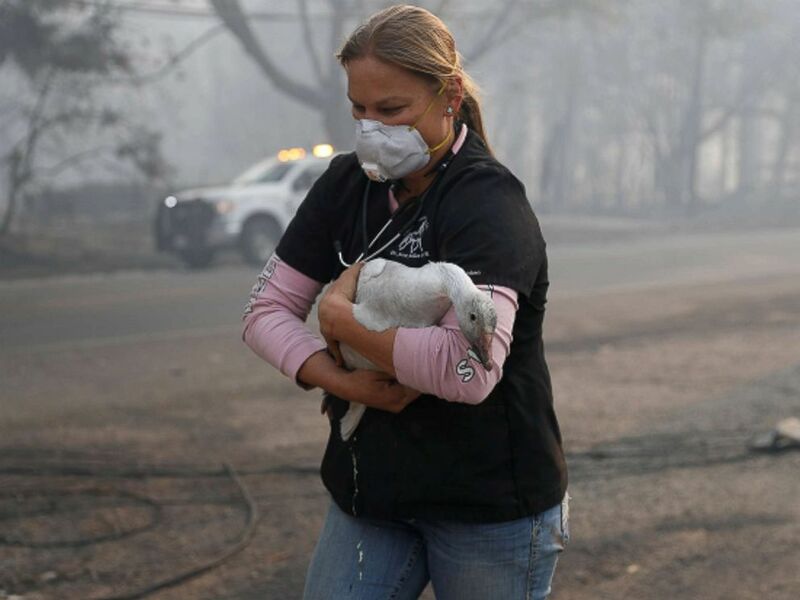 Equine veterinarian Jesse Jellison carries an injured goose to a waiting transport during the Camp Fire in Paradise, Calif. Nov. 10, 2018. 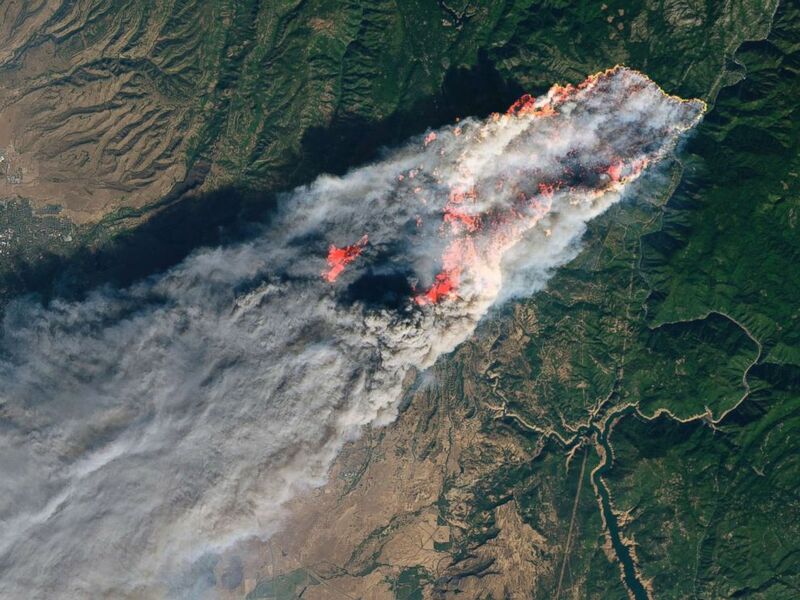 This enhanced satellite image provided by NASA’s Earth Observatory, shows a wildfire in Paradise, Calif., on Thursday, Nov. 8, 2018. Firefighters push down a wall while battling a fire in an apartment complex in Paradise, Calif., Nov. 09, 2018. 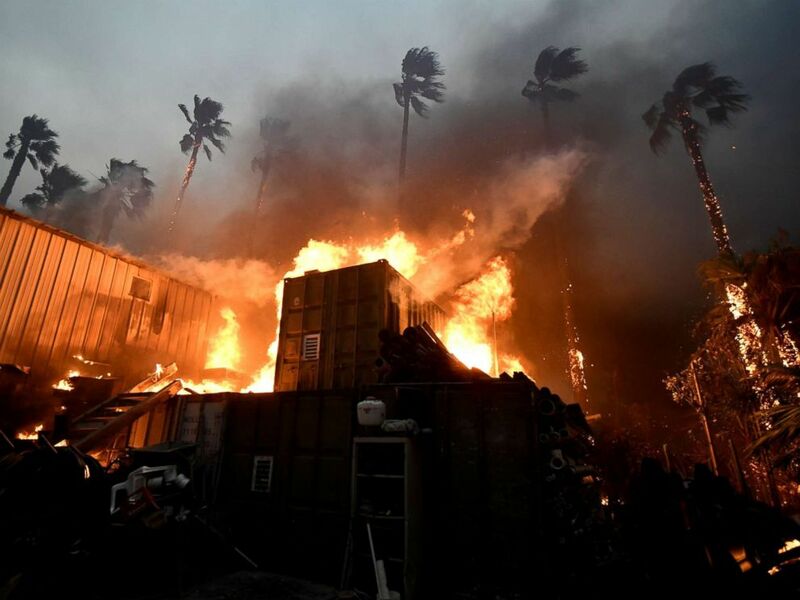 A home is engulfed in flames during the Woolsey Fire in Malibu, Calif., Nov. 9, 2018. 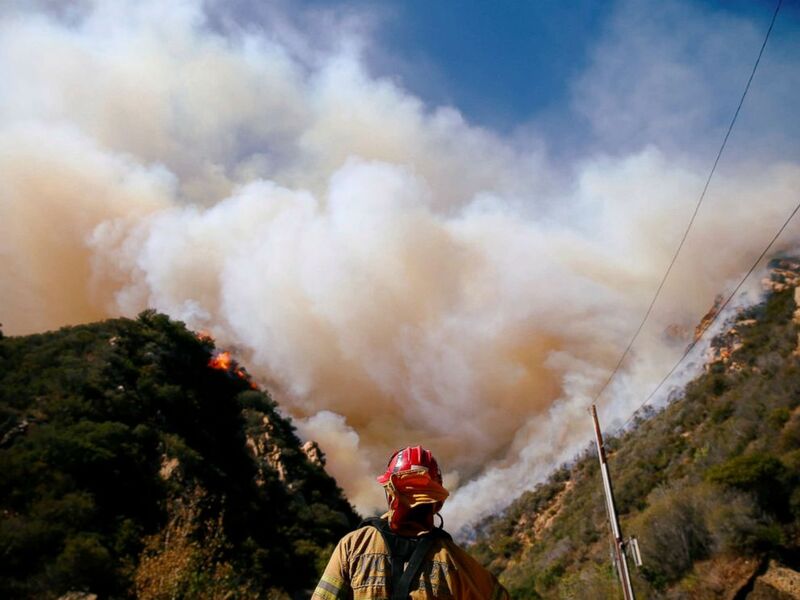 Firefighters battle the Woolsey Fire as it continues to burn in Malibu, Calif., Nov. 11, 2018. 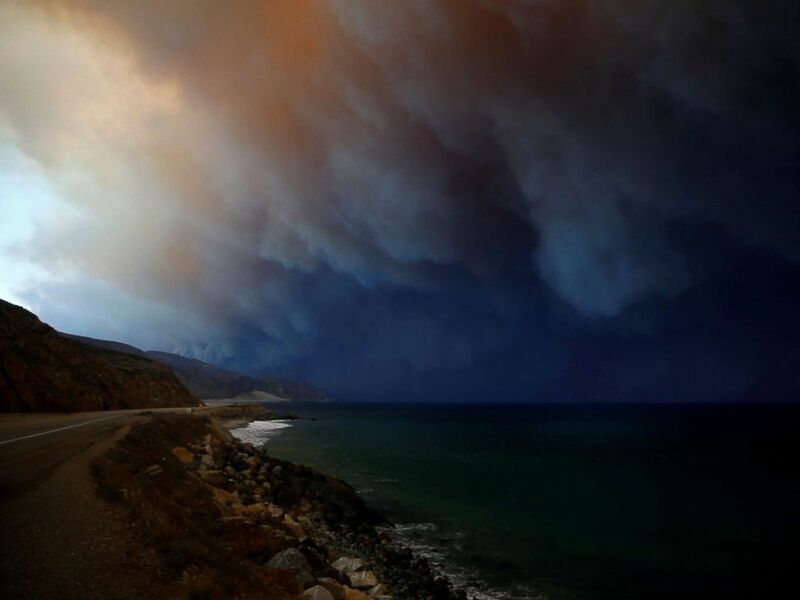 The Woolsey Fire burns in Malibu, Calif., Nov. 9, 2018.